Hana means flower in Japanese, Brittany‘s beginnings included the study of Ikebana in Kyoto Japan. Much of her designing characteristics are inspired by nature. 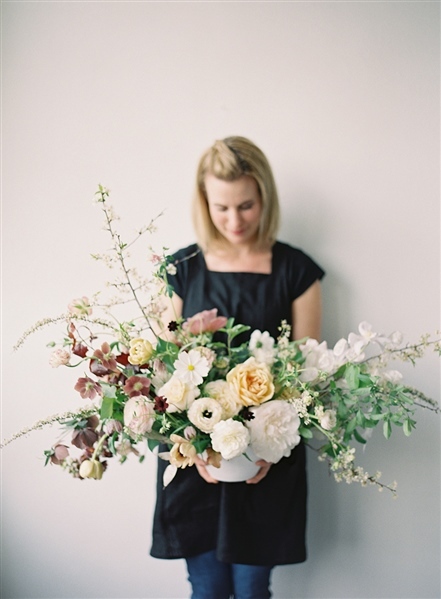 A Colorado favorite, floral designer Brittany Kinoshita is renowned for her dexterity, innate artistry, and impeccable design sense. Brittany’s style is inspired from all walks of life – from Japan’s beautiful landscapes to the surprise color of a fresh pomegranate at the local grocer. Brittany’s relationship with flowers spans a lifetime. Her love of shape, color, and texture led her into a world where flowers are sometimes all she sees..
*Proud member of the Estes Park Colorado Wedding Association.